If you’re looking for a new website design, you need to know that just being on the web with a simple, non-attractive, non functional website isn’t enough anymore. Your website needs to capture and impress upon your customers. Your website needs to be visually appealing, user-friendly and offer the information your customers are looking for. 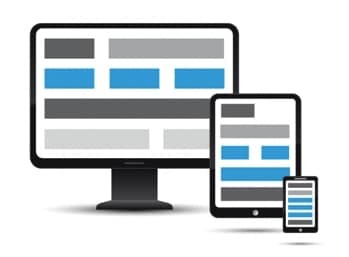 Your website needs to perform well on desktop and mobile platforms. Your website needs to download quickly. Your website is your representation on the Internet to your customers. If it is unappealing, slow, or difficult to use, your customers will simply leave and go elsewhere. Level One Web Design is a professional web design and web development company. Our experienced designers and developers will assist your company in creating a top-notch online presence. Whether your company needs assistance designing a website, upgrading an existing website, developing a premium e-commerce platform, or developing a CMS such as WordPress, Level One Web Design can help you. Whatever look you want for your new web design: minimalistic, elegant, hi-tech, grungy, large corporate, or mom and pop shop, we will design the look that’s right for your brand. We use the latest web technologies and modern development theories so your website is sure to be on the leading edge. We hope that you will consider us whether it’s for a new website project assisting you with your current website.